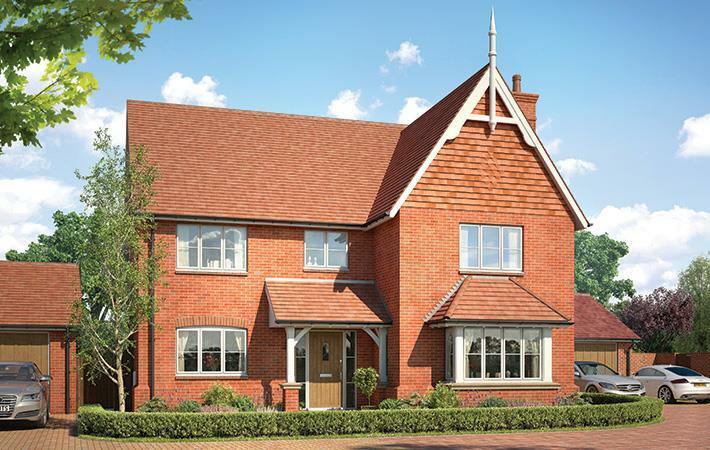 The Wordsworth is a perfectly proportioned and stunning new home, which has been designed with meticulous attention to detail with all aspects of family life in mind. A large and bright hall awaits you as you step into The Wordsworth, leading to a generous living room which comes complete with a fireplace and bay window. The modern kitchen/ breakfast room is of fantastic size, fully fitted with soft close doors and drawers, bespoke stone worktops and upstands, two single ovens, 5 ring gas hob and integrated appliances. The ground floor also offers plenty of cupboard space, a handy utility room, cloakroom along with a generous sized study. 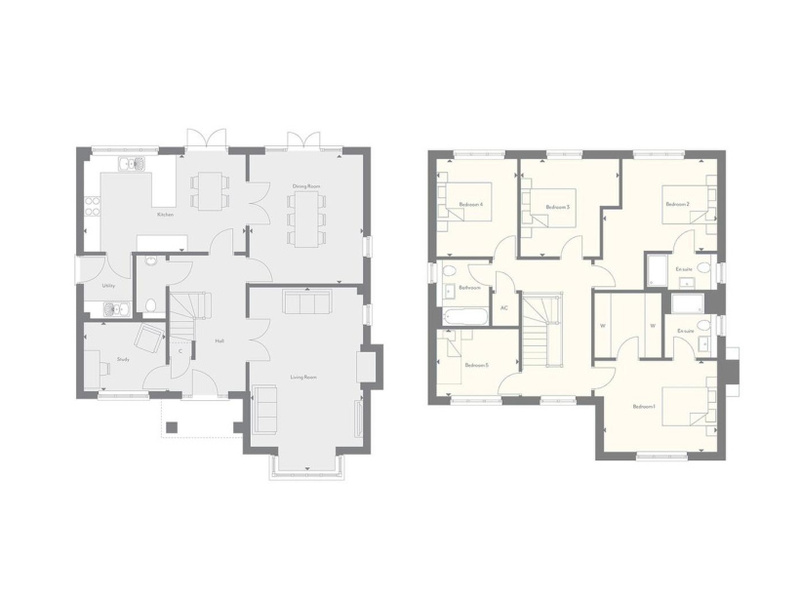 Upstairs features five good sized bedrooms, including a master bedroom with en suite and dressing area. 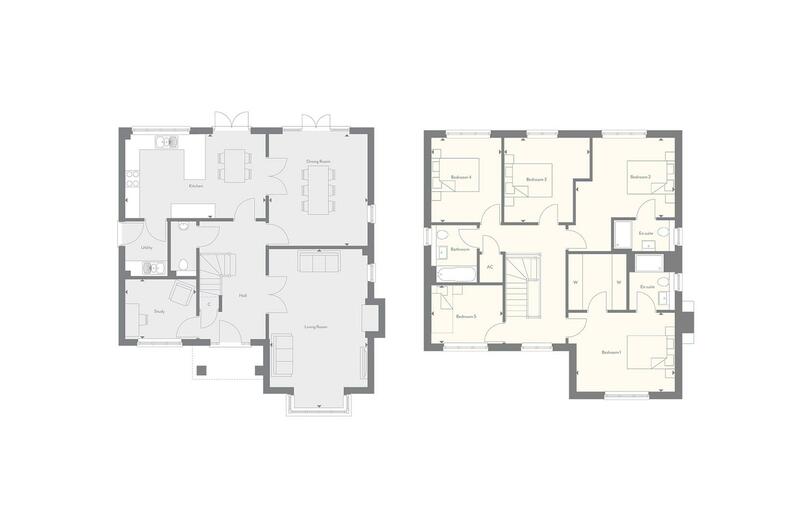 A further en suite can be found within the second bedroom, with the final three bedrooms being served by the large family bathroom. Further benefits include a double garage, two additional parking spaces along with complete NHBC 10 year warranty - The Wordsworth is everything you have been looking for. 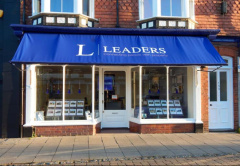 Contact Leaders today to view our stunning show home on 01483 274444.